Investigating the status of OVO Sound’s next big release of 2016. 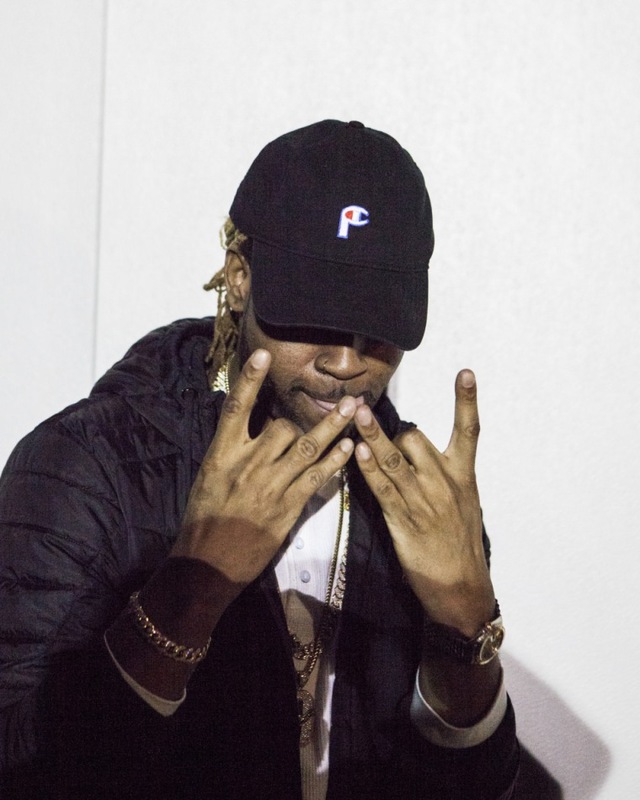 "P3 starts tonight," PARTYNEXTDOOR wrote on Twitter in March, just before OVO Sound took over the FADER FORT in Texas, and the late night release of “Come and See Me”, the FADER cover alum's excellent single, featuring Drake. Since, that song has been remixed by Erykah Badu and SZA, and inspired one teen to dance in a near-superhumanly beautiful way. Party unloaded a bunch of new music in October 2015, on OVO Sound Radio. On October 3 last year, Party hosted the seventh episode of OVO Sound Radio. He played seven previously unreleased songs. None of them have since been officially released, but you can stream the episode on Party's Soundcloud, where it was uploaded in November 2015. And he's written a ton in the past months. Songs with his writing credits appear on both ANTI and Views. Party’s name appeared as a writer on Rihanna and Drake’s “Work,” which became Party's biggest chart hit to date. A reference track for "Work" with Party’s vocals appeared online as a snippet in February, and in full in April. Party is credited as a writer on two VIEWS tracks, "U With Me?" and "With You," an album standout on which he is also featured. "Come and See Me," released this spring, is probably the album's first single. Featuring Drake and produced by Noah ‘40’ Shebib, it’s the only song that's been officially tied to P3. Party did some work with the producer Cardo. Speaking to XXL in June, the producer Murda Beatz, who worked with Party and Drake on VIEWS track “With You," said P3 was his top priority. “Right now, we’re doing a lot of work with Party. We’re working on his album, P3, that’s coming up," he said. "It should be coming out soon. I know he’s just finishing up stuff and working on some more tracks. We work really well together; we work at the same pace. We just bang out songs together." Historically, July is the month for Party music. Party dropped his debut album, PARTYNEXTDOOR, in July 2013. PARTYNEXTDOOR 2 followed in July 2014. It's possible P3 will follow that trend, and arrive in July 2016. Drake teased P3 as near imminent with the above June 12 Instagram post, which he captioned: "P3 #SOUND." Kylie Jenner has had an inside glimpse of Party at work. Kylie Jenner, who Party has been rumored to be dating, uploaded a clip of Party at the piano in late May, which featured him singing: Kylie, oh Kylie. Jenner previously appeared in Party's video for "Recognize," in 2014. One thing is for certain: fans don't want to wait any longer. summer starts when partynextdoor drops P3. can Party drop P3 so my summer can start?? All I'm want is Frank Ocean to pop up with some heat & Partynextdoor to bless me with this P3 ... Is that too much to ask for ? Partynextdoor need to stop playing and drop P3 already. The album has a release date. Update: July 22. Party has confirmed that P3 will be out on August 12. Hear new song "Not Nice" now.